A subpoena is a legal order that requires a recipient to testify in court or turn over documents. Subpoenas can be issued by a court or by an attorney. Failure to promptly comply with the request in a subpoena can lead to a court declaring you in contempt of court and sending you to jail. Therefore, if you have an objection to a subpoena, you must make your objection known to the court or to the attorney promptly. Confirm that you have received a subpoena. A subpoena must be clearly marked with the words "subpoena" or "subpoena duces tecum." Do not confuse a subpoena with a warrant or other court document. Read the subpoena to determine what is being requested. The subpoena must clearly state whether it is compelling you to testify or to turn over documents. If the subpoena is vague, you have the right to have the subpoena quashed. Contact the court or the attorney who has issued the subpoena to determine if there is a trial. Often, attorneys issue subpoenas just to see what you know and whether you have information that is useful for their case. If the case has not reached trial, you cannot be compelled to testify unless the subpoena is issued by the court. Move to quash the subpoena. 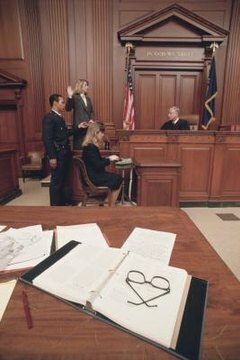 If the case is in the trial stage, then you must file a motion to quash the subpoena. In the motion, you must show that the subpoena is either too vague, that you do not have the information or documents requested in your possession or that the information requested is subject to a special privilege that prevents you from turning over records or restricts your ability to testify. Longren, Trudie. "How to Object to a Service of a Subpoena." , https://legalbeagle.com/8520922-object-service-subpoena.html. Accessed 22 April 2019.